Spinach dip is a death row food for me (you know, what you’d request if you were on death row for a last meal). I grew up with our family making it a certain way. 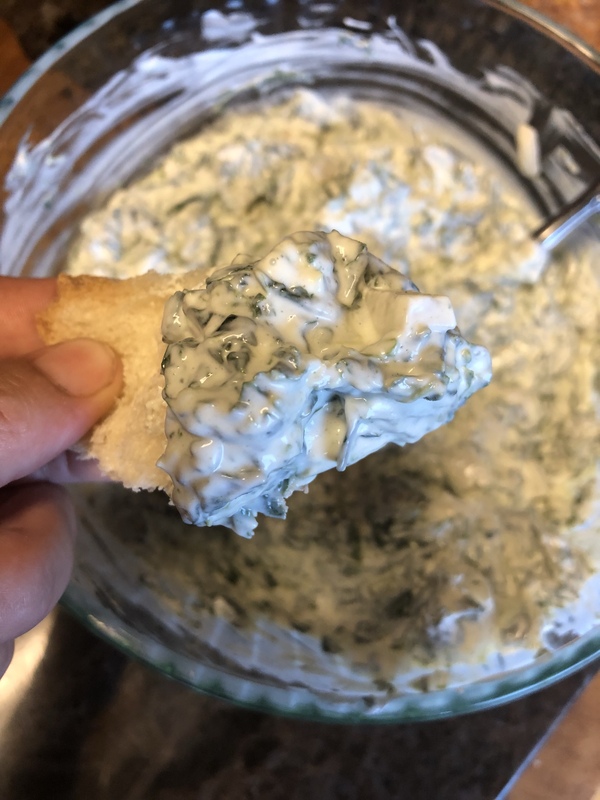 As I became an adult and went to non family parties, I learned a bitter truth: not everyone made spinach dip the best way. It was shocking, to say the least. 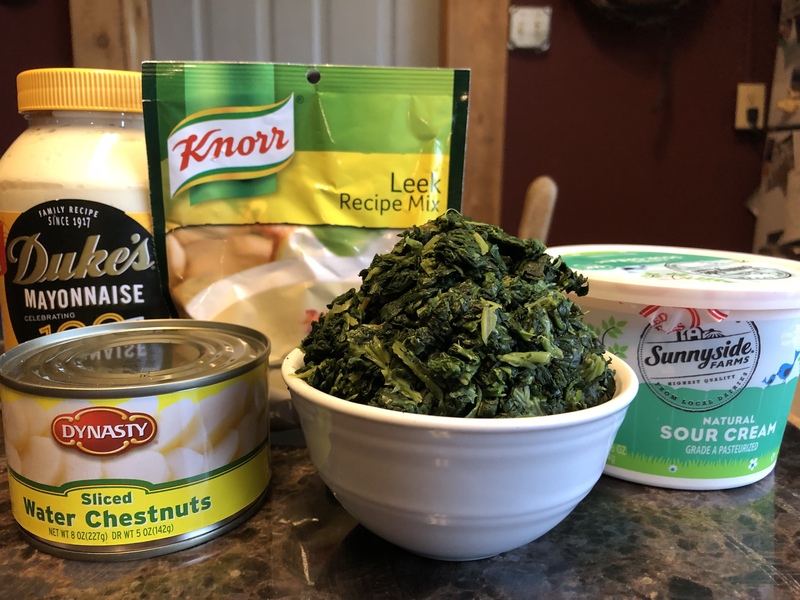 In an effort to show people the best version of spinach dip, I feel compelled to share our family version. Cold, creamy, deliciousness. And it’s spinach so it’s healthy, right?! So basic! So easy! So good! Defrost and dry your spinach. This is a very important step, if you don’t dry you spinach enough, you get soggy dip, and that’s gross. After your spinach is nice and dry mix all the ingredients together. Let’s chill in the refrigerator overnight. If you get too exited about this and try and eat the dip before the it gets to set, it’s going to feel like you are eating glass because the dehydrated leeks are tough. This right here is the secret. 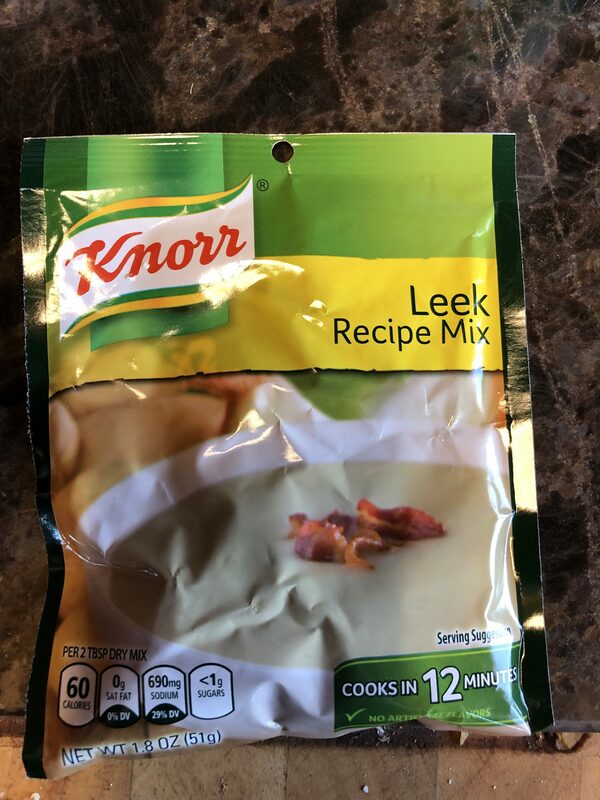 Use LEEK soup mix. Not vegetable like to Knorr recipe calls for. This is why it’s the best! Serve this dip with good sourdough bread. If you feel fancy, hollow out one of the sourdough bread rounds and put the dip in it. That’s how it was done at family holidays around here. Also as much as I hate saying this, raw vegetables also compliment this dip very nicely. That is it, the best way to make cold spinach dip!